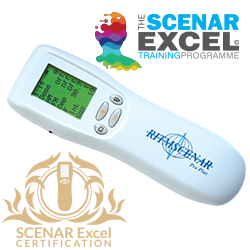 Modernised, simplified and accelerated SCENAR Training courses in the UK. If you have trained before this training will accelerate your understanding and capabilities as a therapist. Marketing your new SCENAR Skills! As SCENAR therapists we learnt the hard way! Both Jen and I trained together, undertaking level 1 & 2 three times with different trainers as well as undertaking numerous master classes in the UK and Europe. Don’t get me wrong, we have no regrets at doing so much training. We undertook this challenge along with working on countless ‘guinea pigs’ over a 5 year period and it was a fun time and enjoyable. Two fully trained and now experienced SCENAR therapists ready to conquer the world!…. well West Sussex J My other skill sets lie in web development, graphic design and marketing; we built a website and a load of marketing material. I specialise in SEO and optimised the website for Google and within three weeks we had the top 5 positions on page 1 of Google for ALL 22 ailments and SCENAR treatments we had listed. This was for the 3 major towns in our area, Portsmouth, Chichester and Havant. Yes, we had it made, we were going to be rushed off our feet!! Well not exactly. Over the next few months we had one phone call L and that didn’t even turn into an appointment. We carried on gaining clients by word of mouth and had to think again. We soon realised after some research that the British public are far too reserved to accept a Russian device that was developed for the space race in the 70’s. 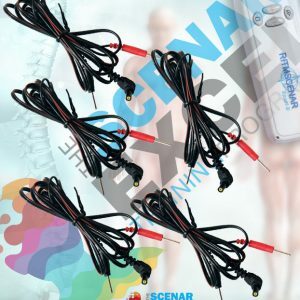 Carefully explain the amazing success of the SCENAR device and the public would go… “hmmm, OK, think I will stick with my osteopath or chiropractor, even though these amazing therapies on their own were not having lasting success? This was extremely frustrating having conquered Google and expecting the world to be knocking at our door. We then started looking at how we could make changes to this thought pattern. Drop any reference to SCENAR and Russian device straight away and market the therapy under the guise of a service the British public would and can accept. This new approach was called ‘Pain Relief therapy’ and now we had to find the best approach to deliver this successfully. We felt that ‘massage’ was a great way to disguise this amazing pain relief therapy. Everyone has a pain of some sorts, everyone over does it and hurts themselves, and a lot of people get injured while undertaking sport of some sort. Massage therapy of different levels was going to be a good way to tackle this. Massage in its own right was an excellent therapy in many forms but adding SCENAR into the mix sounded exciting! Jen, while already studying Advanced Nutrition, decided to undertake some massage courses. Classic massage, Indian head massage and some others. She soon discovered that she was releasing a hidden talent and people were loving the massages. But now how could we involve SCENAR therapy and enhance the positive effects of a massage. Little did we know how well this was going to work. 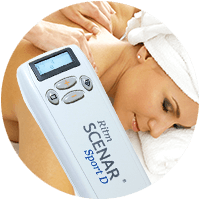 We had always been taught that SCENAR integrated well with other alternative therapies but had no idea it would be this good. The starting point was when a friend and fellow SCENAR therapist, Tasha Ault, showed Jen a little technique she was using – the SCENAR massage. This involved applying on SCENAR patch to the hip of the client while lying on the massage bed, and the other patch to the hip of the therapist. Set the power level and begin. At the moment no one could feel the signal but as soon as Jen touched the client the circuit was complete and the signal was entering the client’s body. The massage oil made it a smooth massage and the SCENAR signal made it a deep and very effective treatment. Our clients were loving the treatment and the effectiveness even more. While this SCENAR massage was amazing there was a lot of signal being absorbed by the therapist. This is not a bad thing for the therapist but we felt that the signal going into the client could be stronger. This form of SCENAR massage we still use today for certain clients or sessions but the ‘upgraded’ version was to prove the major success. ‘Magic Gloves’ is a treatment method using electro-conductive gloves with a SCENAR device massaging or simply holding on the patient. Dr. Alena Plieninger from Zurich in Switzerland invented this technique. While these gloves have been around for decades, this new technique took the treatment to a new level. They were wet. 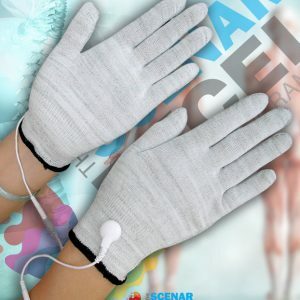 Wet conductive gloves, connected to a SCENAR device, are applied on the skin. 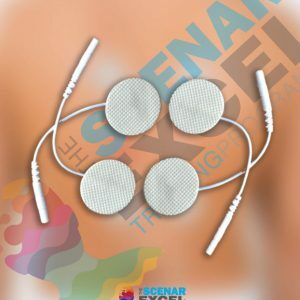 The unique, pain relieving and healing inductive SCENAR signal is applied with two large electrodes – the practitioner’s hands. 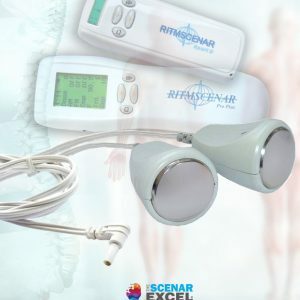 Patients receive a SCENAR treatment and a massage: the practitioner can feel the muscles moving under their hands and feel the softening and relaxing of the tense muscles. By the therapist wearing surgical gloves under the SCENAR gloves, the whole signal is directed to the client. Using the AM and FM settings encourages the muscles to contract, as if you were squeezing a sponge. Then the tissue can be re-supplied with fresh blood, so that the muscles, connective tissue, ligaments, bands, fascia, and joints have better circulation and can regenerate faster. This is an excellent application for relaxing tense muscles, for dissolving muscle agglutinations and soften scar tissues. Patients with unspecified muscle pains like in fibromyalgia, myofascial pain syndrome, chronic fatigue syndrome, hypothyroidism, chronic compartment syndrome or polymyalgia and the like, benefit with a good and longer lasting pain relief. This treatment can also be used in patients with swellings due to injury and oedemas. 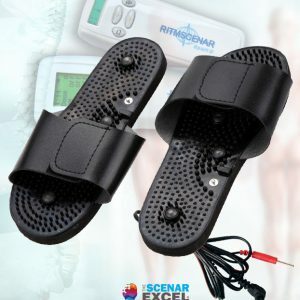 We had found two ways to successfully treat with the SCENAR without having to market our service as SCENAR Therapy which the general public did not understand. 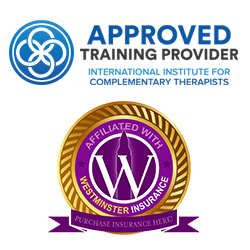 By rebranding the business, creating a new website and marketing material we had found success. Advertise as pain relief massage, classic massage, sports massage or whatever massage, we were getting fee paying people through the door and lots of them. 580 new clients in 8 months and over 80% of them regular returning customers. Until you fix them, then you see them the next time they injure themselves! Everyone that booked an appointment for a massage, upon consultation admitted to at least 3 or 4 pains in their body and relished the prospect of the SCENAR massage. They probably still didn’t understand what they were about to receive, just understood that it was effective pain relief. These people after their first experience became our best referral system with family members and friends soon making bookings for the pain relief treatment! People love an offer, bargain or discount…. it is the mainstream success of all sales, so implement it carefully into your business. We needed to grow our client base rapidly so undertook a Groupon campaign. While this is not for everyone it certainly works as long as you keep control of it and have strong follow-up procedures in place. We designed and print ‘£15 off’ vouchers and ‘Customer Loyalty cards’, and while the former was and still is a success the later didn’t quite work out and was scrapped. Client pays £24 for their Groupon pain relief treatment, after this you give them a £15 off voucher for their next visit (so it costs them £30) then on their third and subsequent visits they pay full price at £45. It works really well and the generic £15 off vouchers are really useful for general marketing offers. Jen participates in various fitness classes and handed out vouchers to the girls at one of them and 4 took up the offer and are repeat customers. Just make sure when you do this that the vouchers are properly designed and printed so all your marketing looks professional. This is only one aspect of generating new customers for your SCENAR miracles! A professional website that serves as your online brochure, leaflets, flyers and small brochures to hand out, business cards, email templates and of course the dreaded social media. Facebook used to work so well in marketing your business but the last couple of advertising algorithm changes have substantially crippled the power of your reach without paying to boost every post. Your best marketing….. make your website work for you, undertake proper Search Engine Optimisation (SEO) so you rank on page 1 of Google, everyone you talk to or hand a business card of flyer to gets the message to visit your site. Whatever form or piece of paper you present to your client or online presence, make sure it is crisp and professional. Make sure you look better than your competition. The general public as well as businesses are used to now seeing far better/stronger marketing material than they were 5 years ago. Don’t get left behind, you have professional qualifications and professional skills, so show everyone what you can do in a professional manner. 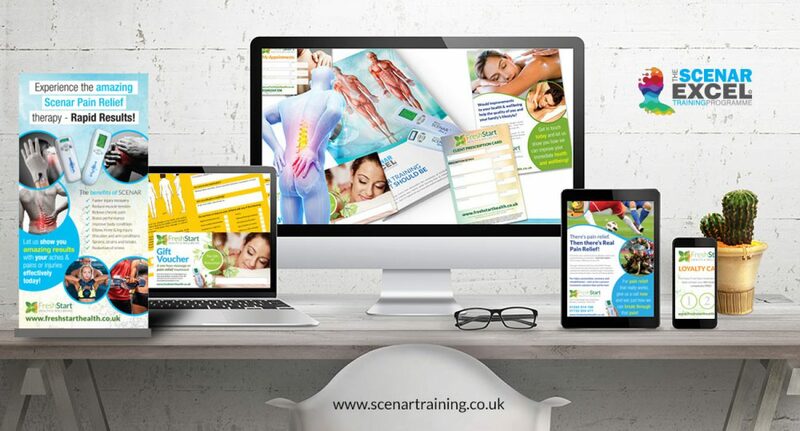 On our training course we show you how to successfully market your new SCENAR therapy skills, integrate into your existing business and get those clients through the door! Do not drink tap and bottles water! Client’s and their denial of issues – forgetfulness? Why our last 2 training courses were such a success!